I don't know about where you are in the world, but when planning meals for this week (Sunday), it was actually sunny! I didn't go mad and plan lots of salads or barbecue's because lets be honest, Summer is officially a wet one this year. Not a lot we can do about it, but plan appropriately! Not too shabby I think! 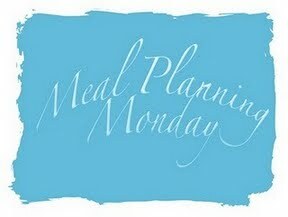 Get yourself over to At Home with Mrs M for more meal planners!